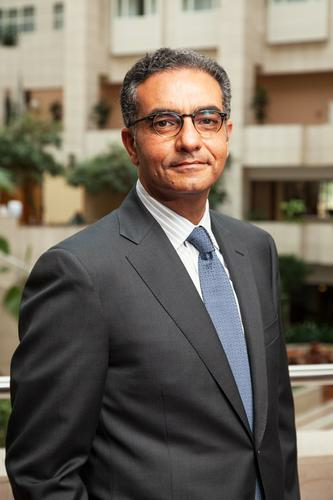 ICANN CEO Fadi Chehadé hopes to make progress on the split with the U.S. government and convince critics that the organization is on the right track when it meets in London next week. The Hilton London Metropole was already buzzing with activity Thursday, ahead of the Internet Corporation for Assigned Names and Numbers' 50th meeting, with representatives from all over the world starting to arrive. ICANN is preparing to take over running the world's central DNS servers from the U.S. government's National Telecommunications and Information Agency, but the transition is fraught with difficulty. "I think this is a meeting where the ICANN community has to deal with the fact, the good fact, that its relationship with the U.S. government, which characterized its birth, its existence and growth, has now run its course," Chehadé said. Chehadé hopes to make progress on a number of fronts, including how the transition will eventually work. But he also wants to convince those who want to delay the transition process that it should be done now. He further plans to engage with those who believe the U.S. isn't going to give up control, as well as those who want to replace the U.S. government with new oversight structure, an idea that Chehadé vehemently opposes. Earlier this month, ICANN published a document describing how the proposal for the transition will be agreed upon. "Most people I have talked to informally are pleased with the outcome, very pleased. Even people who are typically very critical said this was good, saying we took a thousand comments and crystalized them into a process they are onboard with," Chehadé said. The document calls for the creation of a Coordination Group, which will be responsible for preparing a transition proposal. It was first called the Steering Group, but the name was changed to better reflect its desired role and purpose. "The most important thing during this meeting is that the communities get together and finalize the selection of their representatives," Chehadé said. The group has to represent all parts of the Internet community -- governments and organizations such as the International Chamber of Commerce and Internet Engineering Task Force, which develops the DNS standard, all have seats. Geographical and gender diversity is also important, according to Chehadé, who has made the internationalization of ICANN a key priority. "We cannot once again miss the opportunity -- as we do today in some of our structures -- to have solid representation from all over the world. This can't be U.S. centric or European centric," Chehadé said. The group will have 27 members and is scheduled to meet for the first time in London on July 17. One group of critics Chehadé agrees with are those who want ICANN to strengthen its accountability. However, he isn't willing to postpone the transition process until better accountability measures are in place. "We have a window, an important window, to remove the training wheels and we should do it," Chehadé said. Work to improve ICANN's accountability is running alongside the work done to prepare for the transition. A group being set up to make accountability recommendations is attracting top experts as possible members, according to Chehadé. An independent audit mechanism and procedures for receiving and hearing complaints need to be priorities, he said. "Our accountability has been a work in progress for the last 15 years and will, in my opinion, continue for the next 15 years. Accountability isn't a state of nirvana, but an ongoing commitment that you keep improving" he said. The ICANN 50 meeting starts Sunday and runs through Thursday.